Barbara Kiser is a commissioning editor and books columnist at Nature. An editor and writer for over three decades with a special interest in sustainability and environmental policy, she has worked at New Scientist, SciDev.net, UN agencies and the UK government. Has 2018 been a good year for science books? Very. Every year is a deluge, of course—science publishing has been on a roll for well over a decade now, and hundreds of books must be sifted annually. There is just this immense thirst out there now for news about research at the cutting edge, say in astrobiology or the human microbiome, or, inevitably, gene editing. Science books so beautifully encapsulate and contextualise those findings in a highly multidisciplinary way. They’re where you get the history, the vital backstory. So this year is just one in a series of bumper years for science books. It’s been strewn with riches. Carl Zimmer’s She Has Her Mother’s Laugh is a standout: more than 600 pages on heredity, bringing us bang up to date not just on the genetic component, but on all the environmental elements intertwined with it. Lisa Margonelli’s paean to the termite, Underbug, is a revelation. There were three intriguing books on the quantum world: Philip Ball’s Beyond Weird, Adam Becker’s What Is Real? and Anil Ananthaswamy’s Through Two Doors at Once. Steve Brusatte, a rising star in palaeontology, came out with The Rise and Fall of the Dinosaurs, a tome to make the heart race about that bizarre clade and the signal adventure of unearthing the remains. We had a magisterial biography of one of the last of the great polymaths, David Cahan’s Helmholtz. Michael Pollan’s examination of hallucinogens and their research potential, How to Change Your Mind, was an audacious deviation from his thinking on food. And there’s more. Do you see any trends in the kinds of science books that are being published? I’ve mentioned those three books on the quantum. Together, they constitute something of a publishing trend. There’s an ongoing spate of books on canine science—it’s raining dogs, if not cats. Inevitably, there are many books on genetics, reflecting the volume of research. A number of books in that group reveal how the techniques and the growing body of data are being harnessed in diverse ways. David Reich’s Who We Are and How We Got Here, for instance, reveals how his research on ancient DNA is unveiling the impacts of human migrations and the churn of our complex heritage. Theodore Porter’s Genetics in the Madhouse is equally eye-opening, showing how long before the discovery of the gene, physicians working in asylums interpreted mental illness and recorded those interpretations; their statistics, Porter shows, went on to inform the nascent field of genetics, in part to egregious effect. And Catherine Bliss’s excellent Social by Nature unpicks the societal and political implications of sociogenomics. Tell us about the first book you have chosen from this year’s deluge, Sabine Hossenfelder’s Lost in Math: How Beauty Leads Physics Astray. 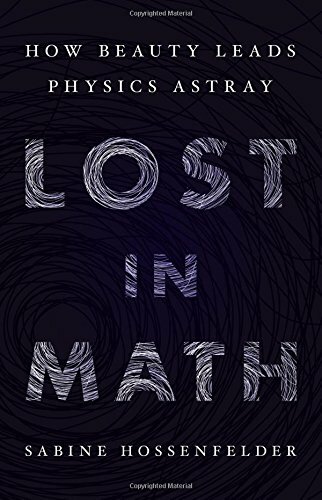 Lost in Math is a firecracker of a book—a shot across the bows of theoretical physics. Sabine Hossenfelder, a theoretical physicist working on quantum gravity (and author of the blog Backreaction) confronts failures in her field head-on. The foundations of physics have not improved, she reminds us, for more than three decades. Hossenfelder contends that theoretical physics—specifically, theoretical particle physics—is in thrall to seductive concepts that act as hidden rules. Faced with new but untested theories, many physicists draw on aesthetic concepts such as naturalness, simplicity, elegance and beauty. ‘Naturalness’, for example, is the idea that a proposed theory should not have to have parameters tuned to tally with observations. Hossenfelder notes that these concepts can be valuable—a “hard-earned intuition for what works”—while also being opposed to objectivity. She argues that their dominance has contributed to a crisis in the field. The development of theories needs to be guided by data, but where there is no data, many theorists fall back on these concepts. When that doesn’t work, she reveals, confusion ensues. Or, worse, rhapsodies. Of course, testing theories is beyond tough, and takes time. She reminds how it took 25 years for the neutrino to be detected, almost 50 to confirm the Higgs boson, and a century to detect gravitational waves. A scientist testing a new law of nature may not see results in her lifetime. So in deciding which research to follow, what Hossenfelder calls “empirical adequacy” may not be the only criterion; ‘beauty’ may become another, introducing “systematic bias”. This is a book of mordant wit and bold immediacy. Hossenfelder interviewed a number of physicists in the thick of this vast debate—including Steven Weinberg, Nima Arkani-Hamed and Frank Wilczek. Their frank exchanges are illuminating. As is Hossenfelder’s trouncing of theories such as wormholes in space (“pretty but useless” and nearly impossible to test), or the lack of evidence for dark matter particles. We don’t use math because we want to scare away those not familiar with differential geometry . . . we use it because we are fools. Math keeps us honest—it prevents us from lying to ourselves and to each other. You can be wrong with math, but you can’t lie. Basically, we need to find the right maths. 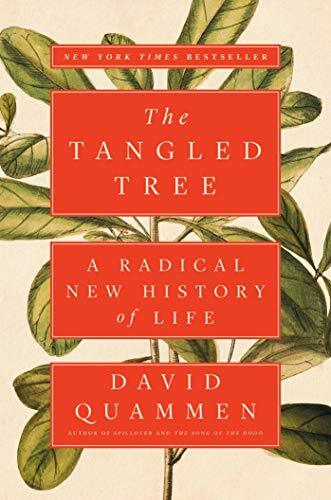 Your second choice is The Tangled Tree: A Radical New History of Life by David Quammen. What makes this book stand out for you? Quammen is one of the great science journalists, and this is a monument of a book—a masterful retelling of how the ‘tree of life’ was recast in the twentieth century by a band of original thinkers. The tree, a model used to explore relationships between all organisms through time, was famously codified by Darwin in an 1837 sketch (Quammen dubs it a “thunderous assertion”). Among the scientists whose trajectories he follows were Lynn Margulis and Tsutomu Wantanabe, but the spotlight is on Carl Woese, the microbiologist whose research unearthed a new branch of life. Quammen manages to integrate leaps in understanding around this discovery with the plod of the research that triggered them. He wonderfully explicates what I think of as ‘linear collaboration’—that shoulders-of-giants element of science in which successive researchers essentially work together over time, as in a relay race. This is as much a book on molecular phylogenetics, the technique effectively used to redraw the tree, which involves looking at units (nucleotide bases and amino acids) in some long molecules—DNA and RNA, for example. The starting gun here, Quammen reveals, was an idea flung out by Francis Crick that amino acid sequences or chains might reveal evidence for evolutionary trees. After work by others, including Linus Pauling, Woese took up the thread. 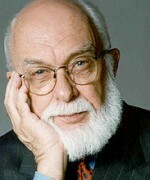 In the 1960s and 1970s, he came up with profound insights around ribosomal RNA. Some of the most ancient genes code for this molecule, so he saw it as the optimal “fossil record.” But which ribosomal molecule? In a stroke of genius, Woese pinned down 16S rRNA—a component of bacteria—and its variant. Extracting and sequencing ribosomal RNA was a herculean task in the 1970s—beyond clunky. Thousands of pieces of film had to be studied. Lab conditions were ridiculously risky, with scant regard for safety around, say, the radioactive phosphorus used in bacterial culture. But Woese, his postdoc George Fox and the rest of his team eventuall punched through. After years of precise, laborious work, Woese identified Archaea, the single-celled microorganisms that constitute the ‘third branch’ (bacteria and eukaryotes are the other two). The series of papers published by Woese, Fox and others in 1977 are seen by some as the most significant in the history of microbiology. Perhaps inevitably, doubt and dismissal followed. There are more aspects to this many-pronged narrative: endosymbiosis, horizontal gene transfer. There are subtleties and complexities (not least in Woese himself.) This brilliant, un-flashy scientist never won a Nobel and, Quammen asserts, was embittered by that. But he played a vital role in redrawing the tree. Chasing New Horizons, your third book, has been described as “a future classic of popular science.” What’s it about, and what makes it so good? Rip-roaring space exploration is the name of the game here. 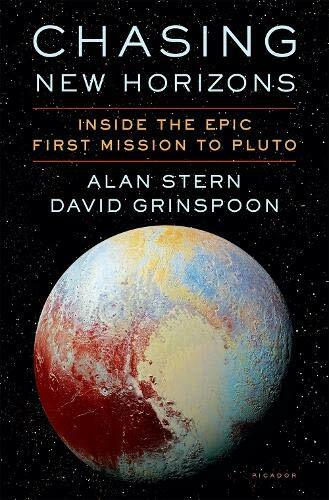 It’s an account of NASA’s New Horizons probe, which zipped past Pluto on a July 2015 flyby 4.8 billion kilometres from Earth—a dynamic soup-to-nuts treatment of the mission by its principal investigator Alan Stern and astrobiologist David Grinspoon, who was also involved. Thus, it’s the ultimate insider’s account. Crewed flight is the apex in space, of course. But un-crewed probes are astounding feats of technological derring-do. After more than 40 years, Voyager 1 (in interstellar space) and Voyager 2 (now in the heliosheath) are still transmitting data. New Horizons is out there now, too, barrelling through the Kuiper Belt. So like Voyager, New Horizons—destined to fly by other objects in the belt before ultimately, decades on, winking out somewhere in interstellar space—carries, as part of its payload, our collective imaginings. As life on Earth is rocked by conflict and environmental crisis, these serene little scientific emissaries remind us of how different it can be when we collaborate selflessly in the getting of knowledge. 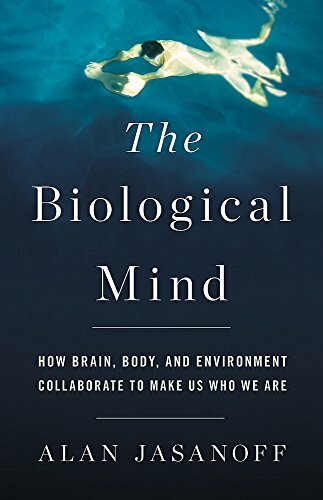 In your fourth book choice, The Biological Mind, Alan Jasanoff aims to take down what he calls ‘the cerebral mystique.’ What is that, and what’s his case? This peculiar cultural tic is linked to scientific dualism splitting brain and body, argues Jasanoff (who is, by the way, one hell of a writer as well as an incisive thinker.) He reminds us that brains are organs: messy, awash with fluids and “glue-like” glial cells as well as neurons. Like (and unlike) our other organs, our brains interact with the rest of our bodies. Jasanoff’s corrective explores multi-layered neurobiological realities and cutting-edge research. He parses the brain’s complexity and its surprising relationship to function, shows plainly how the brain does and does not resemble a computer, and unpicks fallacies in parsing brain scans. He embeds cognition in the whole body. The manual flexibility of the violinist Niccolo Paganini, for example, may have been due to a connective-tissue disorder, so his wildly complex compositions can be seen as the product of exalted creativity and unusual physique. Jasanoff also looks at how the sensory barrage of the environment are “causative forces that slice to the deepest levels of our brains and minds.” The brain does not sit in a bunker. But he also takes us further, out of science and into society, where adherence to the mystique can have severe consequences. He asks penetrating questions about mental illness: the ways we interpret and stigmatize it. The idea of the ‘broken brain’, he argues, is not just outmoded. It has too much risky potential to shape how policy is made and justice done. In the mid-1960s, a post-mortem on American mass murderer Charles Whitman revealed that he had a brain tumour. But as Jasanoff relates, Whitman also abused drugs, had a violent family life, and suffered repeated rejections and humiliations throughout his career. And (a grim reminder of what is currently playing out in many US states) he had easy access to guns. ‘Neuroessentialism’—a focus on brain alone—can become just another dangerous intellectual bubble. 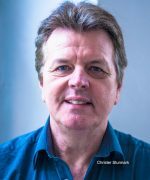 There are a few echoes here of the famous 1998 paper ‘The Extended Mind’, by Andy Clark and David Chalmers. But there is much more to this exploration of existential richness. Research on the microbiome reveals the human body as a vast community. Jasanoff reveals the brain as part of that community, and a much vaster one. 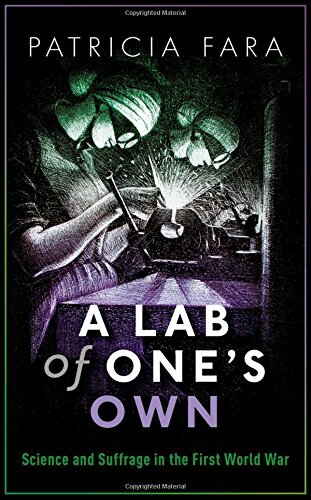 Tell us about your final choice, A Lab of One’s Own: Science and Suffrage in the First World War by Patricia Fara. We’ve just seen the centenary of Armistice—the finale to a terrifying war—come and go. I think it’s key to remember, too, that 2018 is Britain’s ‘suffragist centenary’, marking the moment when more than eight million women over the age of 30 gained the vote. (The United States followed suit in 1920.) Science historian Patricia Fara’s powerful book looks at this socio-political ferment through a scientific lens. We walk the walk with scores of women in science from the nineteenth century, through the war years and into the early twentieth century, when sexism was pervasive and blatant. That prejudice has cast a long shadow. As Fara reminds, glass ceilings, leaky pipelines and unconscious bias are still very much out there for today’s women scientists. And those constraints can, in part, be traced back to failures in the battle for equality following the First World War. Fara describes intense discrimination. Between 1881 and 1916, just over 400 women studied science at Cambridge, although women could not graduate until half a century after University College London allowed it in 1880. Mockery and exclusion were a norm for female science students—and really, they were almost to be expected in an era when science itself strained to justify misogyny. Egregious treatment persisted through graduation and beyond. Physiologist Mabel Purefoy Fitzgerald was awarded an honorary Oxford MA at the age of 100 in 1972—a full three-quarters of a century late. Dorothea Pertz, who worked with the botanist Francis Darwin (Charles’s son), published papers and lectured at Newnham, but was never formally recognised. Fara tells the stories of many women researchers who, after years of collaborating with their husbands, were publicly ignored or demoted. Other stories were happier. Plant hybridization researcher Edith Saunders became president of the Genetics Society. Crystallographer Kathleen Lonsdale was one of the first women elected to the Royal Society. And Newnham became a centre of scientific inquiry for women—a ‘lab of their own’. Fara gives us more names to conjure with: Scots geologist Maria Gordon, the chemists Ida Smedley and Mara Whiteley, wartime surgeon Louisa Garrett Anderson, suffragist and historian Ray Costelloe. Largely forgotten now, they are given fresh life on these pages. But Fara is a realist. While suffrage and war work changed many women’s lives, shut doors and stalled research careers blighted the following decades. And while prejudice in science may be partially concealed now, its roots are deep. Too many women in science still have distressing stories to tell.